Win 1 of 3 Ugly Winter Sweaters! 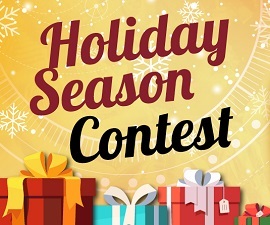 Take part in our Holiday Season contest and warm yourself with one of our Ugly Winter Sweaters! Holiday Season has started – for us a moment to think about the passing year and thinking about the future while drinking a hot pot of tea. 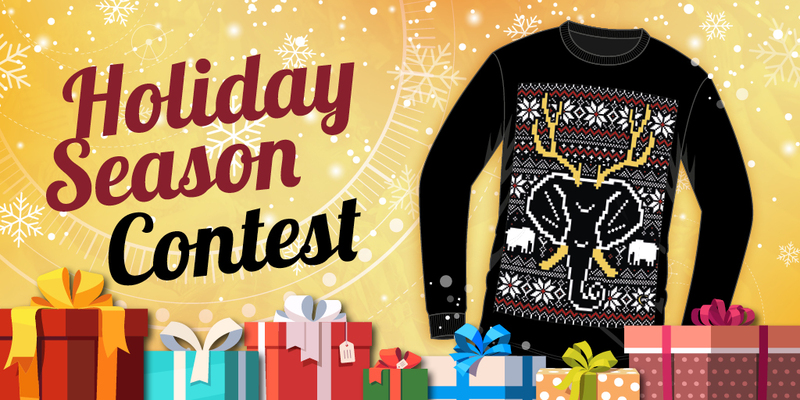 But to stay warm on the outside as well we have a special Holiday Season Contest for you: Just subscribe for our newsletter to have the chance to win one of three custom-made Ugly Winter Sweaters with an er… umm… Elk-ephant! The winners will be chosen on December 13th, so don’t forget to subscribe. Good luck! If you win one of our sweaters, our team will get in touch with you on December 14th to ask for your size. We will try our best to send you the sweaters before christmas. The actual sweater may vary from the picture.